GIZ initiated a cross-cutting project aiming at fostering ecosystem-based approaches in Thailand to mitigate extreme hydrological events. The project involved the water sector including the Ministry of Natural Resources, the Department of Water Affairs and national research centres. 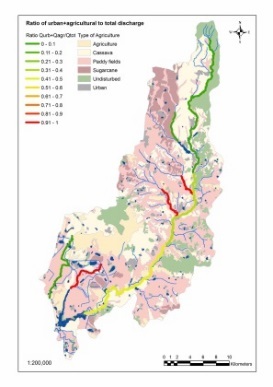 A Water Resources Management Study and Vulnerability Assessment for three river basins had been conducted including: Assessment of the current situation and existing monitoring system, water management and measures on river basin scale in order to identify ecosystem-based measures to mitigate natural hazards and climate change adaptation. 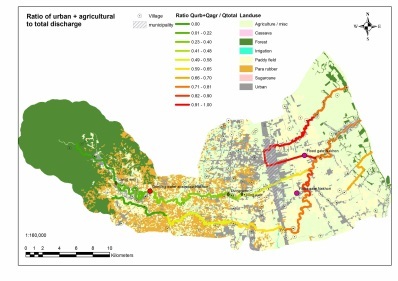 The cross-sectoral analysis included agriculture, irrigation, urban planning, water supply and socio-economic root causes to integrate all relevant water-related actors. 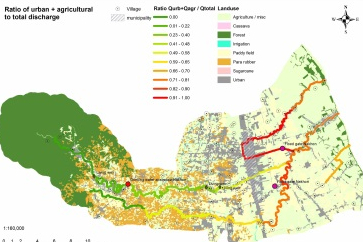 Based on modelling the assessment of the hydrologic, economic and ecological situation were carried out in detail to identify hot spots for intervention. The project included training and capacity building for staff members from authorities and two universities for follow-up programmes. Below is a short documentary about the project produced by Deutsche Welle.